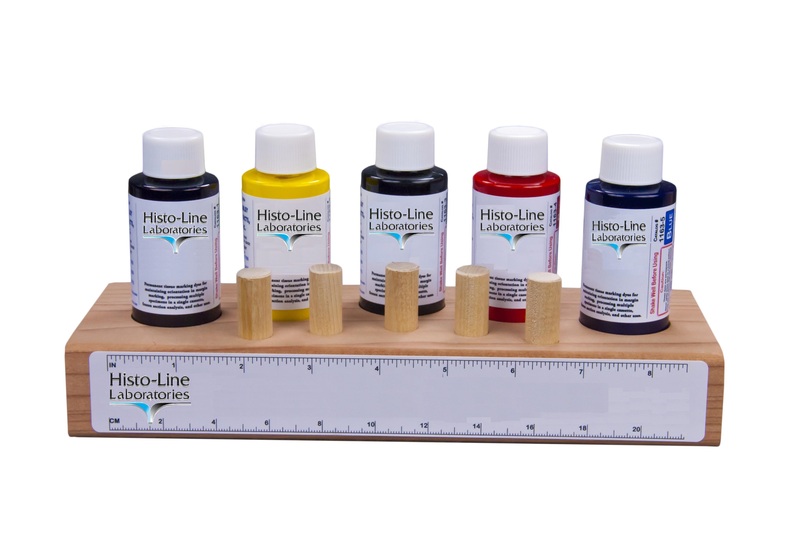 Dyes for marking of surgical margins, both fresh and fixed in formalin. Correct orientation of specimens during embedding and subsequent microscopical examination Non-toxic. Ready-to-use. The specimen can be processed immediately after the marking, no further steps with fixatives (ethanol, bouin) required.